The first time I ever cried in front of a piece of art was when I visited the Phillips Collection in Washington, D.C., during the summer of 1980. Last February, during the Associated Writers and Writing Programs (AWP) conference in D.C., I was locked into a tight schedule, but made it a point to visit the Phillips Collection again. It’s one of my favorite places on earth. In 1980 I was a twenty-year-old art student, and I was in Washington on an internship with the Washington Women’s Art Center (no longer extant), which was just off Dupont Circle near the Phillips Collection. Since my college campus sat in the hinterlands of Minnesota, I vowed to see all I could during that summer. You might say I was museum- and gallery-crazy, not to mention deliriously thrilled to be in the city. I had little interest in Abstract Expressionism. 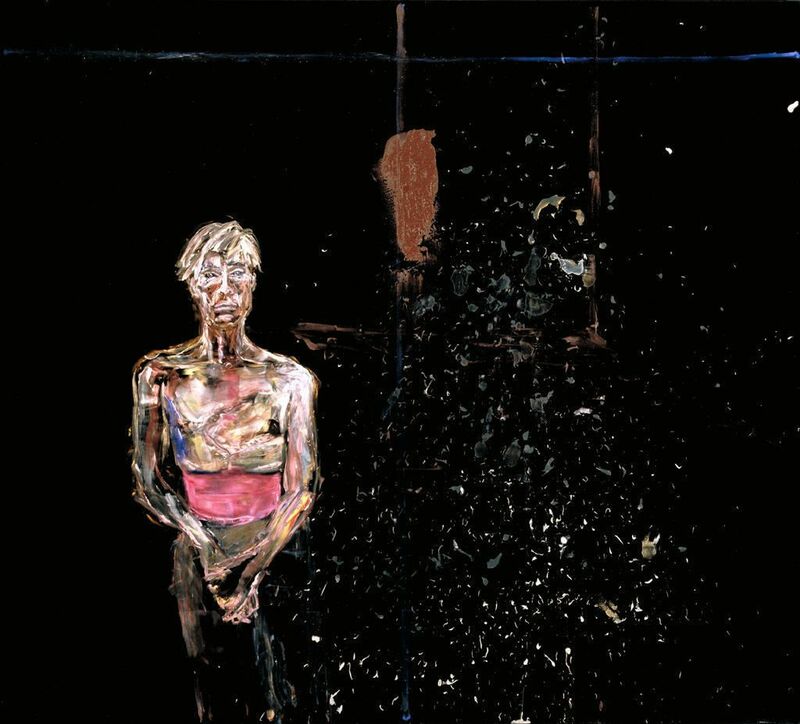 The figure and landscape—tangible things—though not necessarily in the Realist style, spoke to me more than abstraction. I liked Matisse better than Kandinsky. I loved Constantin Brancusi but not David Smith. Most of all, I loved the gentle obsessive boxes of Joseph Cornell and the harsh obsessive ones of Lucas Samaras. I loved the textile- and craft-based art of Eva Hesse, Miriam Schapiro, and Judy Chicago. Therefore the Mark Rothko paintings at the Phillips were not high on my list. Nonetheless, in the process of devouring everything available, I went there one weekday afternoon. The galleries echoed, nearly empty, and I went through the door into the Rothko Room. I had it to myself, and I sat down on the little bench and stared at the paintings. Mark Rothko. Green and Maroon. 1953. Phillips Collection. Much to my surprise, I found myself weeping. The paintings were just so much more beautiful than could be captured in reproductions in books, the only way I’d ever seen them and where their lights and darks had been muddied in the photographic and printing process. The real paintings pulsed on the wall, the subtle contrasts in hue and value coming alive in front of me. They seemed truly alive, like living, breathing creatures. I sat on the bench for a long time, until others began to poke their heads in and interrupt my reverie. I got up and left, changed, shocked in part by my ability to mis-judge. At the time, I didn’t know that this was a common occurrence. “The fact that people break down and cry when confronted with my pictures,” Rothko once noted, “shows that I can communicate those basic human emotions… The people who weep before my pictures are having the same religious experience I had when painting them.” I certainly did. Rothko, in fact, has also noted that he is “not an abstractionist,” that he’s “not interested in the relationship of color or form or anything else,” but “only in expressing basic human emotions: tragedy, ecstasy, doom, and so on.” I’m glad that he puts tragedy and ecstasy side by side. Perhaps because of the emphasis on contrast in the visual arts—a painting without the play of literal light and dark is impossible to conceive—it’s easier to see the necessity of balance there. But the same is true in writing and in music. Point and counterpoint, compression and expansion, scene and summary—all of these principles must exist in balance. Even emotionally, a work must have its balance. A work may be dark overall or light overall, but if that quality is uniform and uninterrupted, we won’t even notice the actual strength of the emotions. 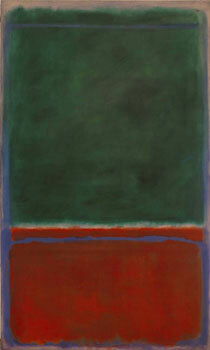 Posted in Culture & Arts, Visual Arts and tagged Mark Rothko, Phillips Collection. Bookmark the permalink. The dialectic, that which happens when what seemed like the truth is undermined by a new truth, this erosion that is life, is what we strive to expose in art. It is still in my aqueous humor, always, inhumanly human, stoic, alive. Love your description of this eerie painting. I love Alice Neel’s portrait of Andy Warhol, too: http://www.aliceneel.com/gallery/?mode=display&category=6&painting=55. The two paintings make an interesting pair, as I think in Neel’s he looks so ordinary and in Schnabel’s he looks so otherworldly. The portrait that always brings tears to Bruce’s eyes is Velazquez’s soulful Juan de Pareja: http://tinyurl.com/4qtrou4. He’s written an essay on it for a collection on art and tears.